Mark Scott established Scott Associates in 1999. Mark is professional, easy-going and approachable. His straightforward manner helps his clients to fully understand their finances. He is a Chartered Accountant and has been a registered tax agent for over 33 years. He graduated in Financial Administration from the University of New England and holds a Masters of Business (Marketing). 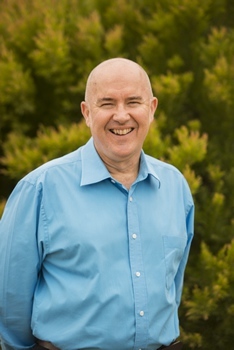 He has a Professional Certificate in Self-Managed Super Funds (SMSF) and is a SPAA SMSF Specialist. He has worked as a Group Financial Controller, Internal Auditor and Insolvency Senior. Mark is also an ASIC registered SMSF auditor. Because Mark runs his own business he understands the challenges that business owners face—maintaining cash flow and profitability, keeping quality staff, and minimising tax and risk. Mark’s speciality is SMSFs. He has had additional training in SMSFs and has established and managed them since 1999. Major changes in the complexity of SMSFs over time often traps other less-experienced professionals. Mark is a well-known, early-adopter of new technologies. He is a strong advocate for cloud accounting because of the clear benefits it brings to clients, their accountants and bookkeepers. When Mark is not at the office he is often found outdoors, either bushwalking in Lane Cove National Park or camping with his wife and children. Mark has successfully completed seven of the great nine walks of New Zealand. His other interests include 4WD’ing, collecting rare antique maps of Australia and old mobile phones. He is a keen follower of the Wallabies (sigh! ).